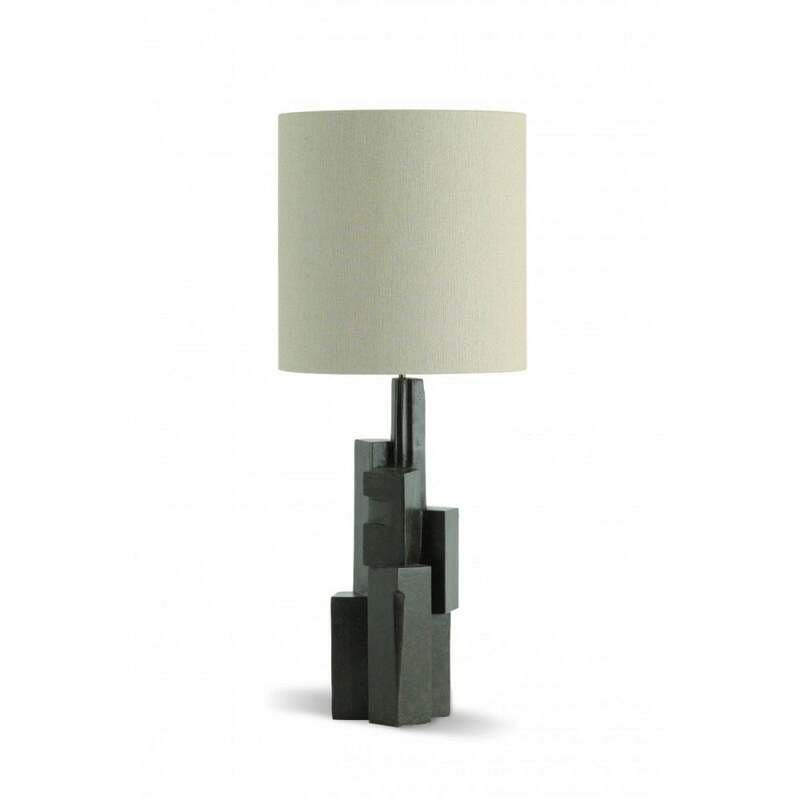 A Monolithic and brutalist table lamp, finished in either Bronzed or Antique White. It has an architectural character reminiscent of a city landscape and a tremendous weight, size and presence. Metropolis is cast in composite material from an original modelled by the artist and designer Gareth Devonald Smith.